Busted: Hillary Clinton did not describe Duterte as “the world’s man”! 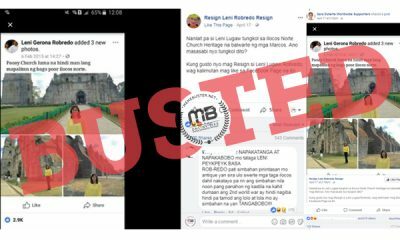 Fake story alert! 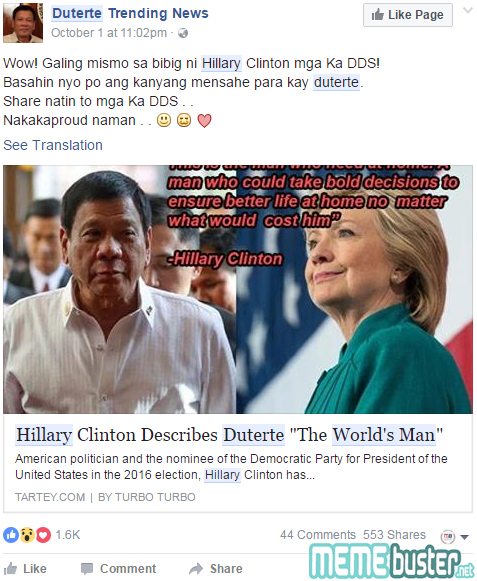 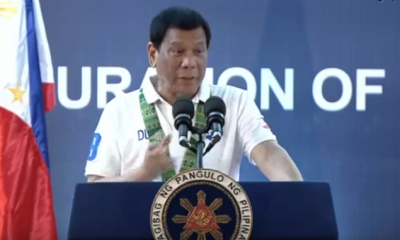 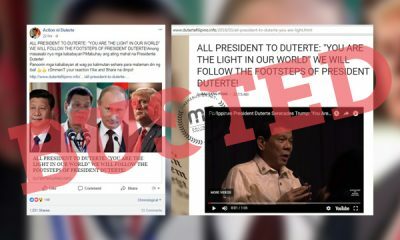 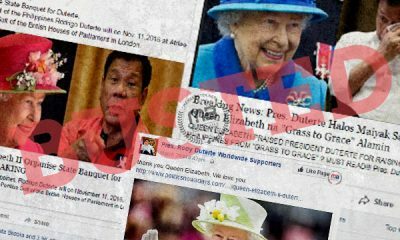 According to the articles shared by Duterte and Marcos fan pages on Facebook, American presidential candidate Hillary Clinton calling President Rodrigo Duterte “the world’s man.” The fan pages even claimed to have shed a tear after reading about Clinton’s comment on the Philippine president. 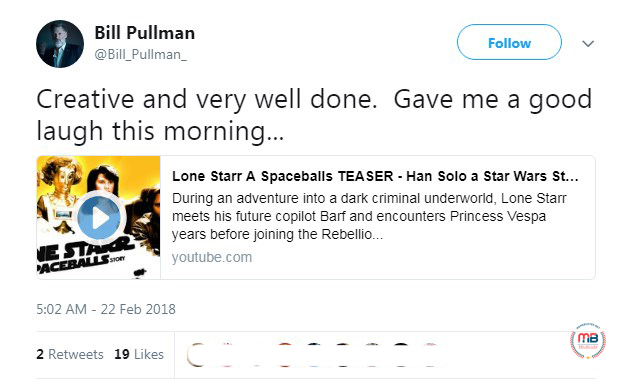 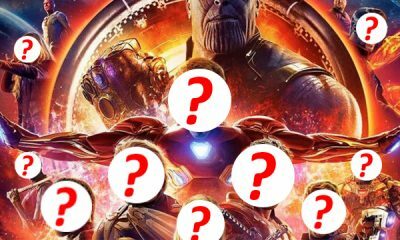 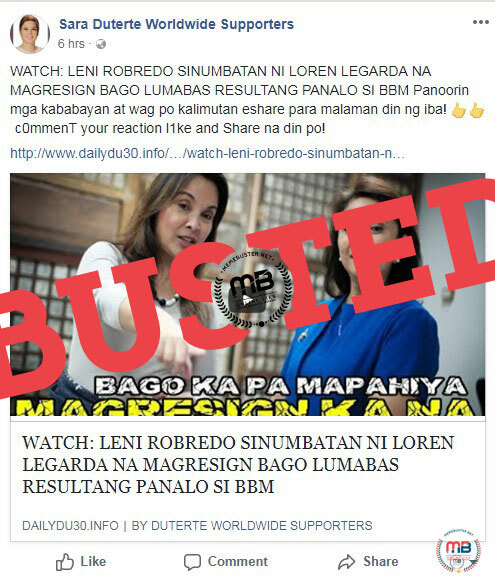 This time, though, the blog made up a different title for the article that was basically the same as the previous article we busted. 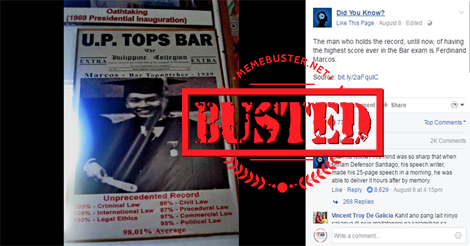 We confirmed this by following the references cited as the source by these articles. 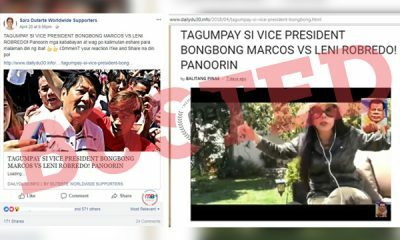 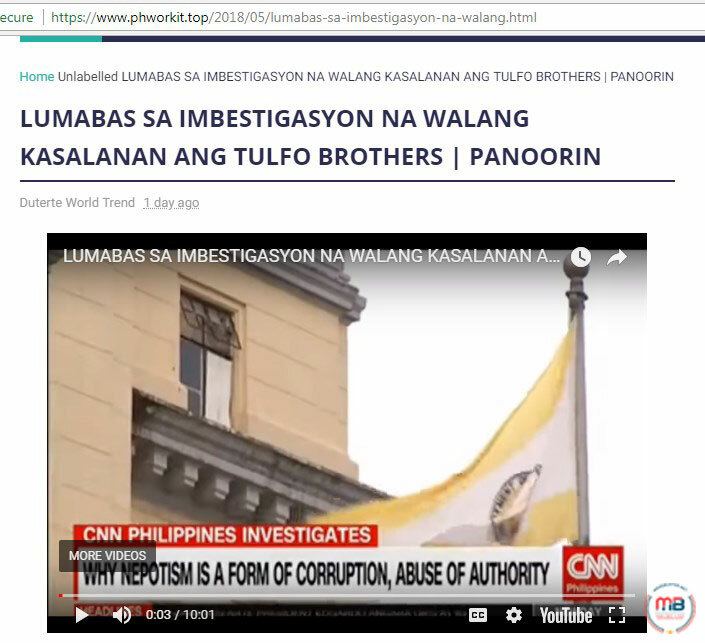 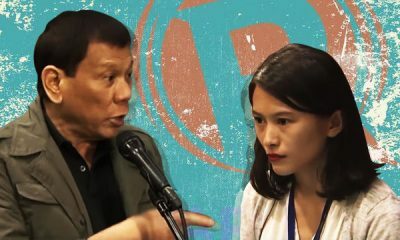 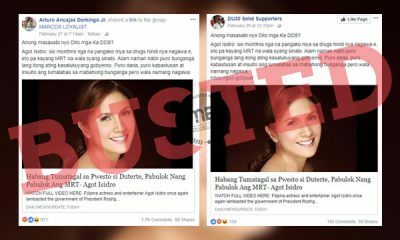 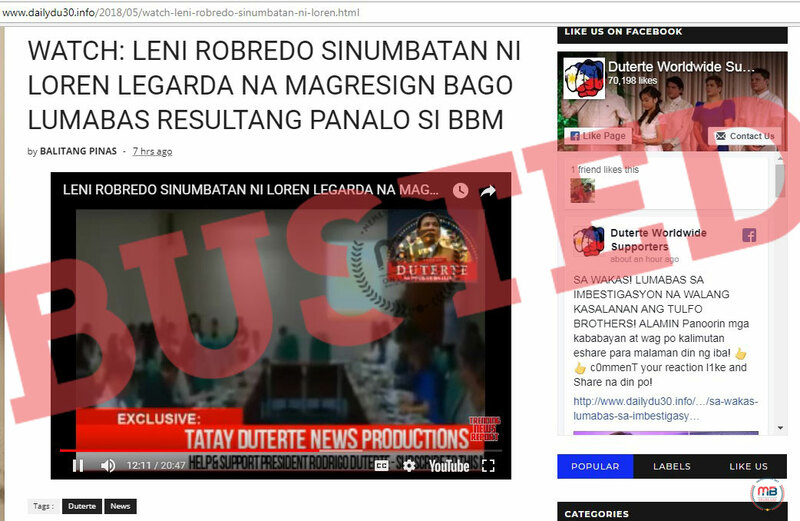 Although the blogs shared by the Duterte fan pages were Socialnewsph and Du30newsportal, they both cited their source as Pinoyarticle. 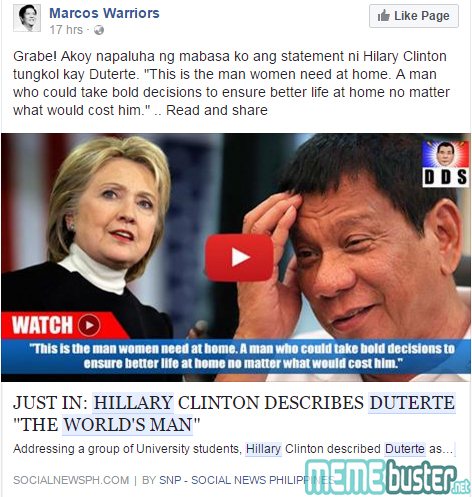 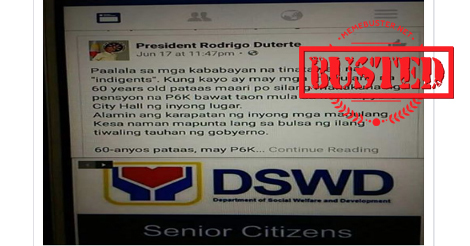 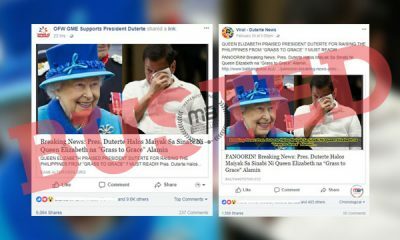 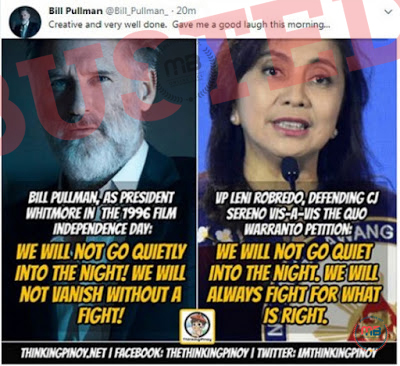 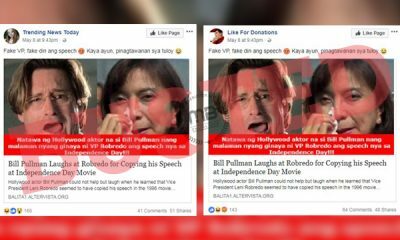 When we checked Pinoyarticle, the source it cited was DW-Tv3, which confirmed that it was actually the same article claiming that Clinton showed Duterte some love, when she didn’t. 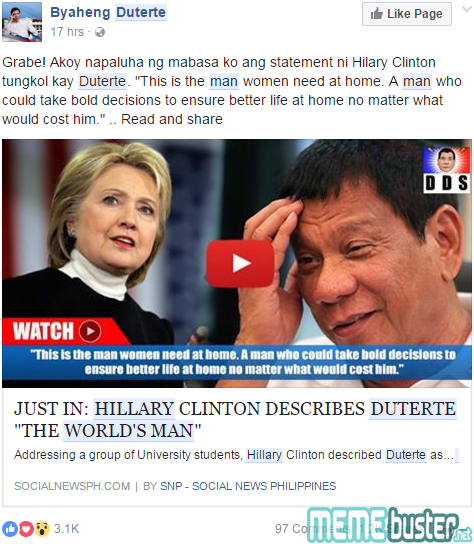 Moreover, as we have stated before, the latest comment Clinton made on Duterte was when she said how the US and Philippine relationship requires a “certain level of respect.” She added that US President Barack Obama did the right thing by cancelling his meeting with Duterte after the Philippine president made strong remarks against the US and Obama when asked about the issue of the killings in the country. 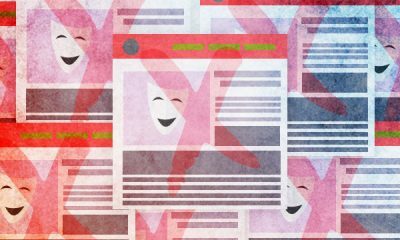 If you encounter articles from these blogs, make sure to verify them first. 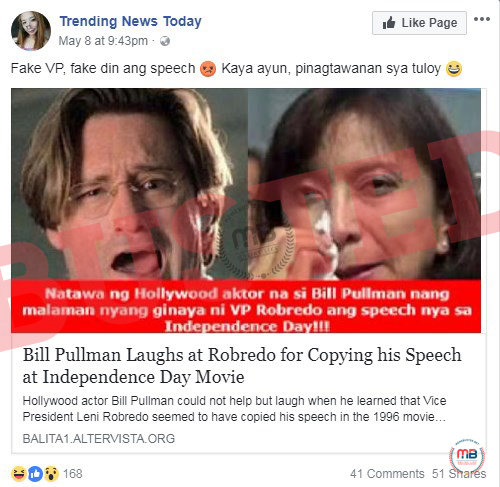 You wouldn’t want to fall victim to satirical articles and fake stories with misleading titles. 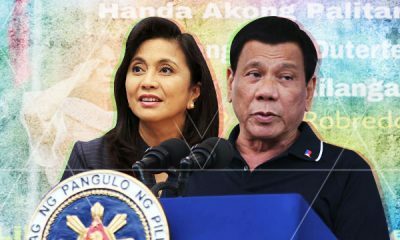 Busted: PNoy vows to replace Duterte if the latter gets impeached? Misleading title! 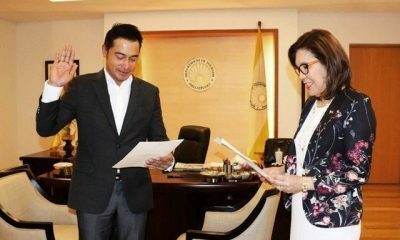 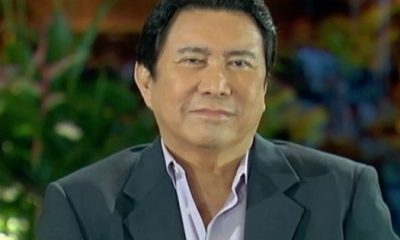 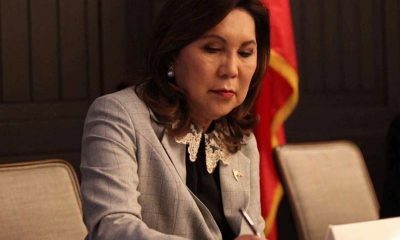 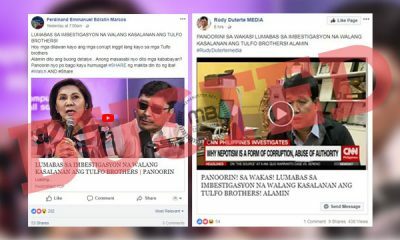 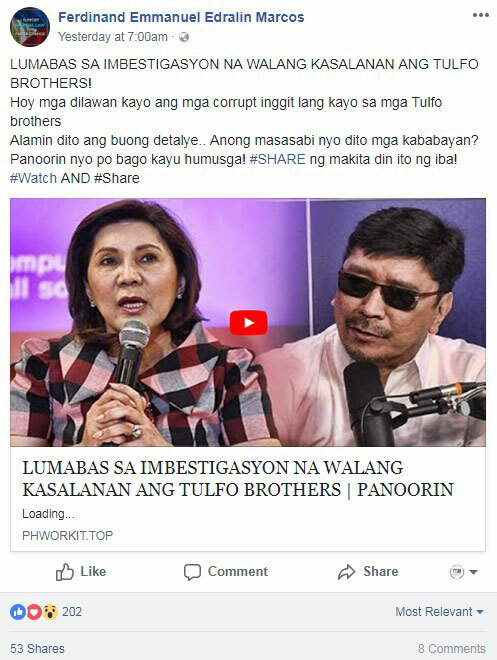 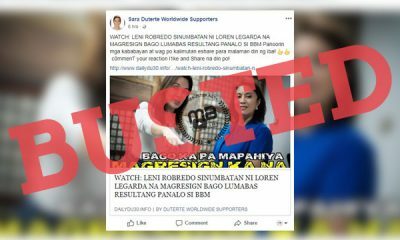 Busted: Did Matobato apologize for ‘destroying’ Duterte? 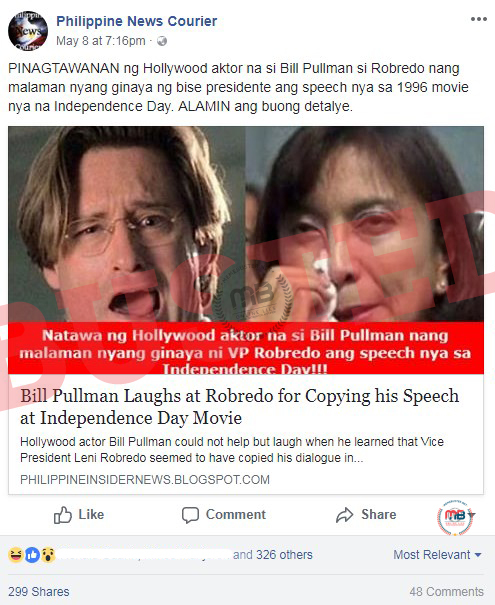 No, he was apologizing for his killings!